Does your kitty shamefully show off her beautiful ears? Don't you understand your cat wants to be plain and simple? 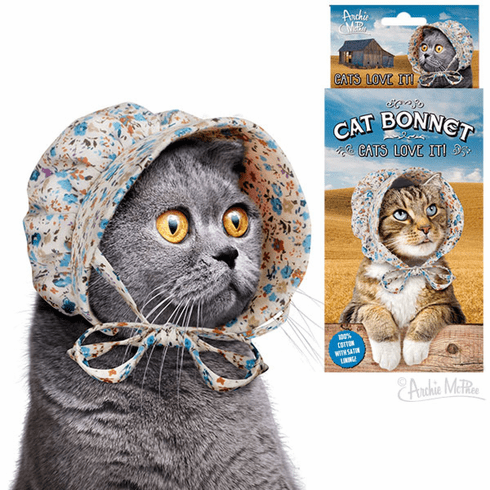 This 100% cotton bonnet with satin lining fits most cats and frees them from a lifestyle of conceited preening. If your cat is prideful and disobedient, she won't like it. Illustrated box.